YouTube For news reporter interviews. 'Like' Us on Facebook. Join us on Twitter. Click here or cover picture below to download sample copy of our January/February 2019 issue! 1. A listing in our printed newspaper and in our online 'Links' page. 6. An archive mp3 CD of highlighted InterMountain Christian News Hour radio programs (plays on most new CD players and compatible with computer. 7. An original vinyl record or 8 track tape of Anthony Harper's first recording 'A Dream Come True' and a DVD of the publisher Dr. Anthony Harper's 1986 television music guest singing appearance on 'Faithline' television (San Diego, California - Jerry Bernard, Host). Click here to view Dr. Harper's music web site. Other Sponsor Levels Welcome. All sponsors above will receive recognition in our printed paper and online if requested. 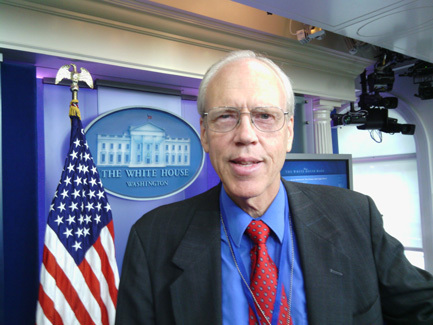 Click here to read about our IMCNews voice at the White House. Visa, MasterCard, American Express or Discover cards accepted. 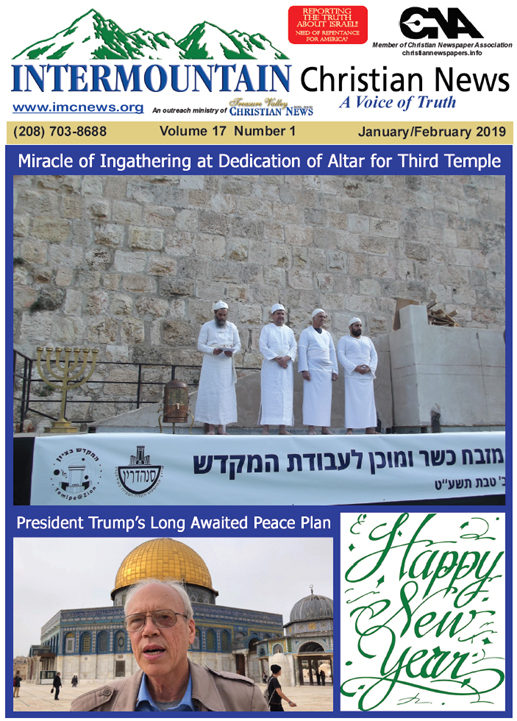 Your donation to IMCNews helps support the printing of Christian testimonies, events, news items, and news stories in our printed paper, our online version and supports our teen help web site http://www.intermountainteens.com. Thank you for your support of Good News!